The men who gathered to create our country and the Constitution were a varied group. Many of them were Christians, but some did not believe in the God of the Old and New Testaments. Yet, they proposed to establish a sovereign nation where people of all faiths and none would be welcome – where the freedom of conscience and religion would not be violated by the government. In a miracle of the ages, they succeeded in creating the first nation where both those who believe in God and those who don’t are safe from government coercion. The fundamental principle of religious freedom is so essential to overall liberty that when a government mandate obliterates it in any form, then all other freedoms are also at risk. So, it was an absolute abomination for both people of faith and of no faith when President Barack Obama’s administration ordered that institutions, service organizations and businesses must pay for drugs that induce abortions and that chemically prevent conception. Marriage and procreation beliefs are foundational religious tenets or sacraments for millions of Americans. When Mr. Obama ordered people to violate their consciences on such issues, it was a strike to the very heart of personal freedom. And Mr. Obama’s unconstitutional act would have been grossly unjust and oppressive if only a few had been forced to kneel before the government. Thankfully, on Friday, President Trump and his administration restored religious protection for all of us by issuing orders reversing the Obama-era Health and Human Services mandate that required people and organizations to violate their religious beliefs and/or consciences. Every American should breathe a sigh of relief and feel pride in the restoration of our very unique government, designed to protect both the faithful and those who claim no faith. 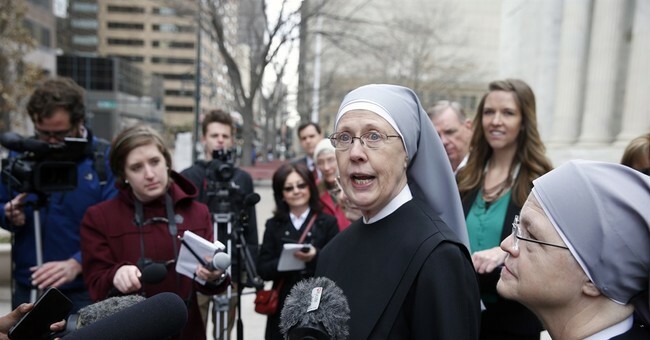 Family Talk scored a major victory for religious freedom in court when U.S. District Judge Robert Blackburn issued an injunction preventing the federal government from imposing the abortifacient mandate and its fines on Family Talk. Some but not all ministries and businesses were protected when courts ruled against Mr. Obama’s violations of the Constitution. Last Friday’s actions by Mr. Trump and his administration to throw out the religiously intolerant Obamacare mandate is a huge, but not complete victory for all. The final step is for the government to resolve the many outstanding cases by treating the plaintiffs as the prevailing parties that they are under the new regulations. To leave those cases unresolved, especially when the administration’s new religious freedom regulation is already under attack, is to leave open the possibility that massive Obama-era fines could still be imposed, including as much as $8 million against Family Talk and $6 billion (that’s billion) against the Catholic employers that filed suit. Groups like the ACLU quickly filed a suit challenging the new Trump administration directives, and until and unless the Department of Justice issues permanent injunctions and settlements on the Obama-era cases mentioned above, the nightmare of the Obama mandates will continue. The wall protecting religious practice from the government withstood in the courts and with President Trump’s administration. But until the Department of Justice seals the leaks of the current litigation, the dam will eventually crumble, threatening, once again, to drown freedom for all.